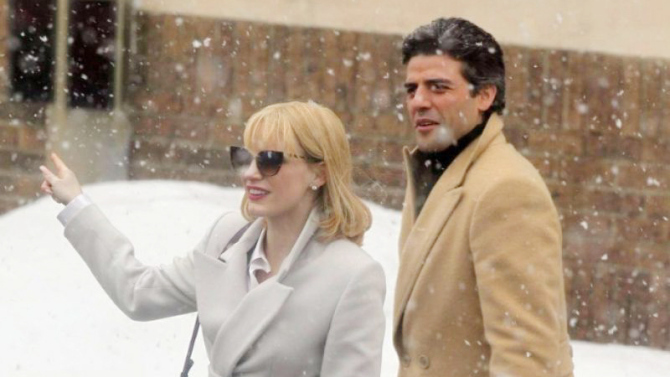 A MOST VIOLENT YEAR has a title that will likely put a lot of people off from the start, thinking it’s going to be another blood-soaked actioner, but if so they’ll miss a superb urban drama, with a fine sense of period recreation. In 1981, with crime riddling New York from top to bottom, the husband & wife owners of a small heating oil company deal with hijackers and arrange a complicated plan to refinance their operation in a way that will best their ruthless competition. Harkening back to the glory days of Sidney Lumet, sharp writer-director J.C. Chandor adds to a growing and impressive resume, sculpting a thoughtful, adult, steady and intelligent drama that has plenty of tension but little of the nastiness offered by the title. Good thing, as needless mayhem would have added little but discomfort to the plentifully simmering pot of greed, corruption and general fiscal shenanigans on view. Cooly assured acting, with zero showboat excess, from Oscar Isaac and Jessica Chastain as the couple. Backing them up are Alessandro Nivola, David Oyelowo, Albert Brooks, Catalina Sandino Moreno, Ashley Williams, Jerry Adler, Peter Gerrety. With a $20,000,000 cost, sadly it only brought back $6,000,000, but did garner excellent writeups and many 10-Best List nods. 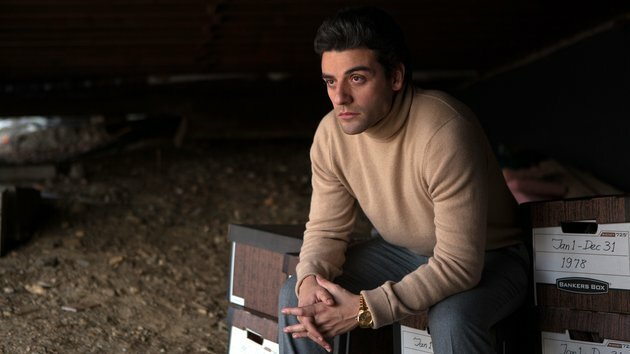 As for Isaac, after detesting his character in Inside Llewyn Davis, it took me a while to shed prejudice (there, I admitted to being human!) regarding this actor, but the more I see, the more I like: this job sold me. As to Chastain, she’s never less than superior. Neat soundtrack is a bonus. 125 minutes.